This is what I asked myself earlier today when I passed a small group of men gathered at the GPO. Some were holding flags featuring a yellow sun on a backdrop of green, white and red stripes while others carried banners urging the Irish Government not to ignore Turkish war crimes in Kurdistan. It was a tiny, peaceful demonstration that made its way down O’Connell Street and past Trinity College. A single man had a loud speaker and from it all that I could make out was the word “Kurdistan”. The leaflet I took from one of the demonstrators is a double-sided photocopy and includes four photographs of dead bodies buried amongst rubble. One is of a 6-month old baby. The leaflet claims that “Turkish warplanes have been repeatedly bombing Kurdish villages since Wednesday 17th August” and that this is an example of “Turkish state terrorism against the Kurds which has been ignored by the international community and the European Union in particular”. Kurdistan is wedged between Iraq, Turkey, Iran, Syria and Armenia and is neither a politically independent state nor a clearly-defined region (though its geoographical description encompasses small parts of all the countries which surround it). Its people speak a distinct language (Kurdish, not Arabic) and consider themselves to have a separate identity from that of any of their neighbour states. While Iraqi Kurdistan gained the right to self-governance in 1970, the Iranian province of Kurdistan is not autonomous. In Turkey, the Kurdish Workers’ Party (PKK) has been waging war against Turkish rule for 26 years. To date, the conflict there has claimed over 40,000 lives. Last May the Guardian reported that Sherko Moarefi, a member of a proscribed Kurdish group is at “imminent risk of execution” in Iran. 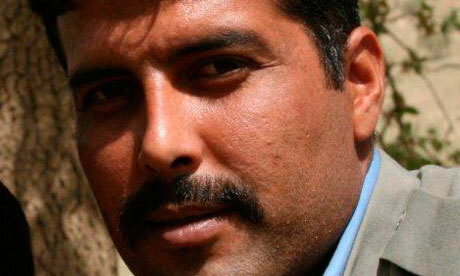 A huge Amnesty International campaign is urgently calling for his release. I’ve been unable to find any up-to-date information about his condition or status online. While I couldn’t find anything up-to-date on Aljazeera or the BBC, I did stumble upon this excellent Kurdish blog from last May, which describes how reporting of the death of Bin Laden overshadowed the case of Sherko Moarefi, whose execution happened to be postponed on the same day as the assassination. I was inspired by this article by Dan Hind on Aljazeera English which calls for the media to prioritise explanation over emotion in its reporting, particularly in the case of humanitarian crises, where public contributions can make a huge difference, particularly when the sources of problems are adequately understood. I’d like to thank the little group of men gathered at the Post Office for their double-sided photocopy and for the isses it has brought to my attention. Their voices resonated from a tinny megaphone and from two pages of broken, passionate English prose. I don’t know enough about the issue to make a judgement right now, but at least I’ve started to think. In the course of my short teaching career, I have already learnt that you can make them do anything and that there’s nothing worse than a runny nose. My fourth confession is marginally more profound: you learn more than you teach. Since I started working last February, it’s been the Arab students who have most fascinated and inspired me and of course it is they who have cemented my desire to learn Arabic and to visit the middle east. Among Saudi and Omani students I have met with the most genuinely gallant and warm-hearted of gentlemen. “Teacher, let me carry your bags” “Teacher, I will help you clean board”, “Teacher, in Saudi Arabia; BIG respect for teacher”, “After you, teacher”. Among Saudi women, I have noticed more than anything the expressiveness of their eyes. In many cases, along with the feet and hands, the eyes have been the only feature visible to me. They are often heavily made up. Their nails too are carefully painted and manicured. It’s surprising how little one needs to be identified: the shape of your eyes and the size of your head; the colour and pattern of a headscarf. “No SHOPS? !”, I asked incredulously. “But We’re right in the city!”. “Not many shops”, they repeated. “What about Dundrum?” I insisted. “That’s one of the biggest shopping centres in Europe”. “Yeah; Europe“, they muttered and rolled their eyes. And then there’s the unparalleled adulation for King Abdullah. Some time ago a student asked me what I thought of the uprisings in the middle east. I was uncomfortable in my answer and skirted about the subject by stressing the general importance of putting an end to corrupt regimes, but that I knew too little about the region. I did ask however whether King Abdullah was popular. “Oh yes”, he replied, his lips curling into a smile and his eyes wistful “I love him like my father”. And they really do. He is constantly nominated for the “greatest person in the world” contest, which I occasionally moderate for the purposes of fluency development. They tell me that he introduced a social welfare system a few months ago as part of his great reforms, which some say were a way of saying thanks for the no-show of protests following some facebook stirrings urging people to go to the streets. Money has none of the moral associations that I am used to. One day I am practising opposite adjectives with an elementary class. The opposite of rich?” I prompt. They all know this one. “In Saudi Arabia, no poor people”, a girl tells me. “Yes!” another chips in. “Saudi Arabia lots of Oil”. Another time, we are practising modal verbs of obligation to respond to the problem pages of a magazine. A girl called Jenny is an unemployed shopaholic. Her habit is sustained by a foolish and ubergenerous grandmother, who keeps sending her money. “She should get a job” a French student says. “Yeah, and her grandmother should stop to give her money”, a Brazilian adds. “No problem in Saudi Arabia”, the girl from Riyhad chips in. “Family send money every day. No problem”. Most of all, they enjoy shocking me with descriptions of the terrible consequences of committing minor offences in their country. “First time drunk on street” one tells me “name in book; second time, lashings” (he mimes a violent whipping action in case I have misunderstood) “Third time life prison”. There is a sudden outburst of laughter from the whole class because they have noticed the horrified expression I have been wearing unaware. He grins, adding in a conciliatory tone “Alcohol, in secret, no problem”, as if that had been my biggest concern. LSB never fails to make an appearance either. One day, I got chatting to a class about my leprechaun-kraut heritage. The Saudi ladies seemed disproportionately impressed by my having a German mother, which makes a nice change from the inane references to Fascism to which I am accustomed. “Boyfriend Irish or German?” they ask. “What do you mean?”, I enquire. “Why you choose Irish man, not German. Germany better”. I pause. “Because… because I like him”, I almost whine. They shake their heads and raise their eyes. A few days later LSB makes a re-appearance. I sigh “Oh about 5 years” I answer. It’s my turn to shock. “Oh I don’t know” I say with a sigh of casual self-indulgence. While rebels shoot victory bullets at artwork in Gadafffi’s compound, an exhausted doctor in Libya’s state hospital stitches a man’s head back together. In America, Dominique Strauss Kahn’s lawyer reminds the world that the distinction between “inappropriate behaviour” and “crime” lies in the employment of physical force. In London and its environs, the post-riot cleanup continues. For all the pen-pushing, market speculating, fashion-conscious, nasal-gazing tendencies of modern politics, the source of power lies – and always has – in physical force. From the uprisings in the middle-east and the rioting in London, we recognise the cycle of destruction and re-construction that seems to be the driving force behind progress and reform. In a civilised society, it’s easy to underestimate the extent to which stability relies on a combination of physical restraint and the threat of physical force. When things are running smoothly, the majority isn’t motivated to engage in violence, and those that are must consider that the authorities outnumber them in physical strength. The thief who underwent a citizen’s arrest in Grafton Street last Friday, had weighed up the options, and decided he would try to outrun his enemies. When they caught up with him, and employed considerable force to pin him down, he remembered that respect for physical boundaries is enshrined in our society’s moral make-up. With this in mind, he took his chances and yelled “ASSAULT, ASSAULT, ASSAULT”. Some time ago I was researching phobias online. I stumbled across a forum of people who shared a fear of being physically attacked. Most of the advice pooled on the forum was rational but unhelpful: the chances of being the victim of an assault are slimmer than you imagine, always carry your keys in your hand and pretend to be on your mobile phone when walking home late etc One piece of advice struck a chord though. It said that no matter how terrifying your ordeal and no matter how bad the prospect of physical pain and psychological scarring, the chances are that you will survive it and the mere knowledge that you will prevail will alleviate the fear. In Libya, with tanks and shells pelting through the streets, the prospects of survival are not so great. The wounded rebels, with blood streaming down their faces believe so much in a society ultimately governed by physical restraint and the threat of force that they are willing to sacrifice their own body for its cause. Last weekend, LSB and I got the DART to Dalkey. We stumbled across a charming independent bookstore and I found just the title to assist me in my continuing quest to familiarise myself with the Arab world and its beautiful language. It’s called Al-Jazeera: How Arab TV News challenged the World and is written by Hugh Miles, a young award-winning journalist who was born in Saudi Arabia and studied English Literature at Trinity College (there’s hope for us all!) and Arabic at Oxford. I first mentioned Al-Jazeera in a column for Teen Times in The Irish Times five years ago. Then as of now, I knew very little about the network, but since we used to pick it up on our makeshift Satellite dish from Aldi, it became something I’d watch when in a curious mood. Part of the reason I want to learn Arabic so badly may be because I associate its sounds with Irish, or because learning it poses much more of a challenge than acquiring a European language. But I know a big part of it is my wanting to be able to understand more about the Middle East and to find out how ideology, the human brain and culture interact. The first Arab person I got to know was a Syrian asylum seeker, whom I met when I was volunteering at Hatch Hall . His English was quite good and he was very kind. The differences between my worldview and his began to emerge over time though and the nature of these fundamental oppositions fascinated me. 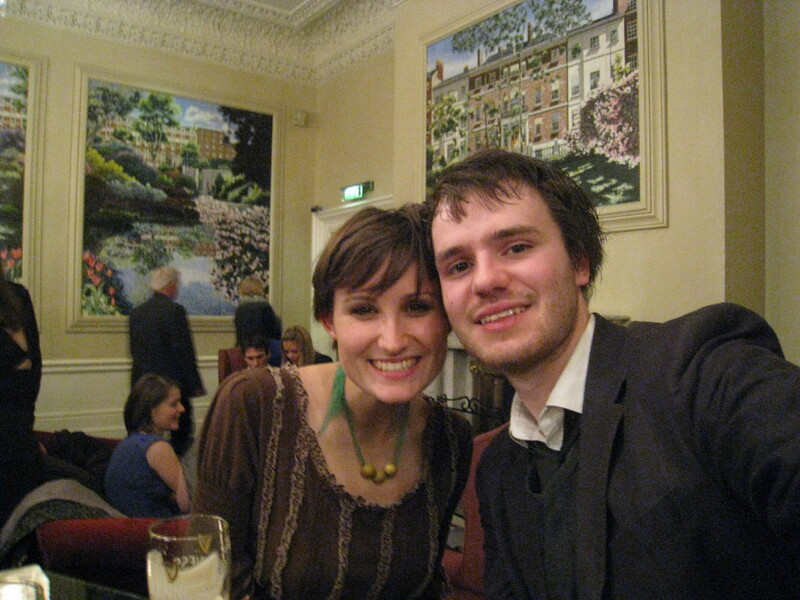 He once gave me some sweets, which he had bought with a large part of the €19 a week to which he was entitled. I accepted them gratefully but was perturbed to find later that my mere acceptance may have been an unintended indication of my special regard for him. Since then, I have come into daily contact with students from the Middle East, particularly from Saudi Arabia, Oman and Kuwait. I have had some fascinating discussions with them and invariably these talks have left with the desire to find out more about this large area and its people. I wish I had the time to devote myself to study but I feel these days that what tiny, little precious time I have left over from work and writing, I am inclined to spend with friends and with LSB rather than over a book or in front of a screen. I’m determined to fit it in though, and over the next few weeks, I will be sharing some of my attempts at learning more about the Middle East and the Arabic language. I need your help though. Would you prefer to join me in learning some basic Arabic or in learning more about the politics and geography of the region? What do you know about Islam? If you played Sporcle, could you name every country in the Middle East? What assumptions do you make about the Arab world and do you have any Arab friends? What about the Uprisings? Suggestions on a postcard, please or – alternatively – if I’m not worth the stamp, do post them below. A round, red, sad, brutal, 40-year-old face charged by me in a blur. I turned, he stumbled and somebody in an orange carphone warehouse t-shirt caught up and grabbed him from behind. The thief struggled, kicked out and wrenched his arms free but out of nowhere, three more men appeared. While they were thrashing about, a Brown Thomas gift bag fell from the thief’s grip and tumbled strangely, prepostrously to his side. He was pinned to the ground and fell silent. An enormous crowd had gathered about. Camera phones came out. A little boy held his father’s head and said again and again “Is da real, da?” “It is yeah”, the father replied. “That man was stealing and he’s been caugh’ and he doesn’t like everyone watching him now ’cause he looks like a muppet… ‘Cause he is one”. “Is it real though, da?”. “It sure is, son. The Police are gonna get him and he’s gonna go to jail”. “He’s not being assaulted”, the Brown Thomas doorman muttered and asked me politely to stop blocking the entrance to the shop. The man let out another roar, and raised his head. A strong black hand pushed it down again. The thief managed somehow to hurt the smallest of his captors, who hopped about in pain and blurted out “you scumbag”. At this point, something rather strange happened next to me. The girls stared at him and pointed behind them. “Would you be able to show us like?” the boy continued. They shrugged. “Stephen’s Green is right up there”, one said, shyly. “Come on, would you not just show us like?” He smiled. I was nearly going to offer. But there was a new arrival on the scene. A younger, dosed-up man I recognised from hanging about town staggered up to where the men were holding down the thief. He looked confused. “Hey! Leave him be”, he said beginning to tug at him for possession. “He’s not done nothing!” he slurred. “He was shoplifting”, one of the carphone warehouse sales assistants told him, still pressing down on his chest. The thief let out another roar. “I paid the bleeding money didn’t I?”. Twenty minutes later the Police arrived and made a no-frills arrest. I watched the thief’s silouete disappear as the Garda car drove away. I wondered about what was in that Brown Thomas bag and about the day that abject, addicted, ageing man was born a baby in his mother’s arms. Oh, the joys of going to the dump! Or, The Bring Centre, as some would have it. LSB and I made a morning of it on Saturday. It was hard not to feel smug as we traipsed into the yard bearing cloth bags of carefully separated rubbish (it was only later that we realised we had over-segregated). The place was buzzing. A little girl was perched on her father’s hip, hurling – delightedly – one empty bottle of olive oil after another into the expansive container. Whole families disembarked cars with boots full of garden waste. Leaves danced briefly in the breeze before a teasing plastic flap hid them from view. The quaint sign on the side of a building summed it all up nicely: A place for everything and everything in its place. If my weekend had a caption, that would be it. I would rate myself as reasonably hygienic and even obsessively compulsive in a few, select areas of personal repulsion (handling coins, public keyboards and door handles results in extreme self-flagellation with a scrubbing-brush). I have however never been tidy nor am I endowed with much pride in the domestic sphere. Following my visit to the dump however, I underwent a transformation. This weekend, I took up recreational ironing, which I practised while listening to my Teach Yourself Arabic CD, in the hope that I will forever associate the joy of learning with the delight of housekeeping. I washed up while listening to The Smiths greatest hits, which gave me the idea to omit all the propositions from the text of Panic, and invite my Intermediate students to fill them in while listening to the track. Who said that grammar can’t be fun? I got a good 45 minutes out of Mr Morrissey and (former) friends this morning. 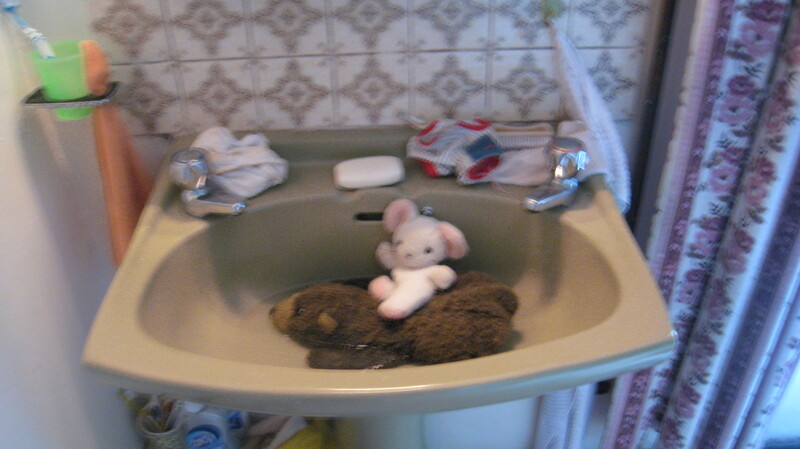 I also gave my teddy bear (Brom) and mouse (Mini) their first bath in decades. They had been waiting patiently for their turn under my desk ever since they came back from the Christmas markets in Nurnberg, where I remarked on their shabby condition. As I type they are crouched on my clothes horse, drying and sleepy. I – A. Disaffected-Youth – write to express my sincere thanks to you for representing my concerns so eloquently on BBC Newsnight last night. I myself was burdened with the task of looting my local JD Sports store in order to give voice to my worries about the cost of education and my employment prospects in the future. At 10 pm last night I responded to a tweet which I received on my blackberry. At the time I had been reading Shakespeare’s A Midsummer Night’s Dream in order to prepare for my GCSEs which I sit next year. I had been endeavouring to recognise the intrinsic merit of the work, since I -along with several hundred other disaffected youth – am gravely concerned at the trend that has developed of handing out A*s with the cornflakes. It is a sad reality that in the world I live in, educational advancement can only be facilitated by robbing trainers, flatscreen televisions and video games from local shops. I feel that you conveyed extremely convincingly our shame at having to resort to rioting in order to bring across this message. I look back nostalgically to the time under your mayorship when I had bright hopes for my academic and professional future. It was with great reluctance that I cast several bricks at the Metropolitan police officers who were attempting to restore order to the streets. It was with yet greater dismay that I set a furniture store on fire. As you say, my great concerns, as a young working-class male are holding down a job and supporting a wife and family. Indeed it is for them that I robbed a games consul, mobile phone and digital camera last night. It is time to start planning for the future. After all, I turn 15 next week. As you say, the cut in youth services is directly related to this violence. Before these austerity measures were imposed upon my friends and me, we used to spend our evenings playing cards at the local community club. Occasionally, we dabbled in scrabble. I look forward to a return to these times under your governance in 2012.